The number of smartphone users worldwide was expected to surpass 2 billion in 2016. To protect personal and other sensitive information from unauthorized access, some smartphone users lock their phones. Yet, others don’t, risking the data and online services accessible through their devices. The risks emanate from both device thieves and those whobelong to the users’ social circles, so called social insiders. In 2014, 2.1 million Americans (under 2%) had phones stolen. While the threat of social insiders for smartphone users has been under-appreciated by the research community, there is growing volume of evidence that it cannot be ignored any more. A recent privacy-preserving survey suggests that 20% of US adults snooped on at least one other person’s phone, during the year proceeding the study. In this talk, I present LERSSE research on unauthorized physical access to smartphones. In particular, I discuss users’ concerns when it comes to unauthorized access to their devices, their use of locking mechanisms and devices themselves, and examine the differences that recent advances in smartphone locking make. K.Beznosov, “Smartphone Users’ Family, Friends, and Other Enemies”, slides of the talk given at several venues during 2016-2017. I. Muslukhov, Y. Boshmaf, C. Kuo, J. Lester, and K. Beznosov, “Know Your Enemy: The Risk of Unauthorized Access in Smartphones by Insiders,” In Proceedings of the 15th International Conference on Human-computer Interaction with Mobile Devices and Services (Mobile HCI), August 27 – 30, 2013, Munich, Germany, pp. 271-280. A. Mahfouz, I. Muslukhov, K. Beznosov “Android Users in the Wild: Their Authentication and Usage Behaviour” in Pervasive and Mobile Computing, Elsevier, 2016. I. Cherapau, I. Muslukhov, N. Asanka, and K. Beznosov, “On the Impact of Touch ID on iPhone Passcodes,” in Proceedings of Symposium On Usable Privacy and Security (SOUPS), Ottawa, Canada, July 22-24, 2015, pp. 257-276. 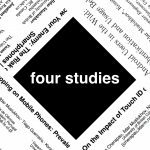 D. Marques, I. Muslukhov, T. Guerreiro, L. Carriço, K. Beznosov, “Snooping on Mobile Phones: Prevalence and Trends” in Proceedings of Symposium On Usable Privacy and Security (SOUPS), Denver, CO, USA, June 22-24, 2016, pp. 159-174.